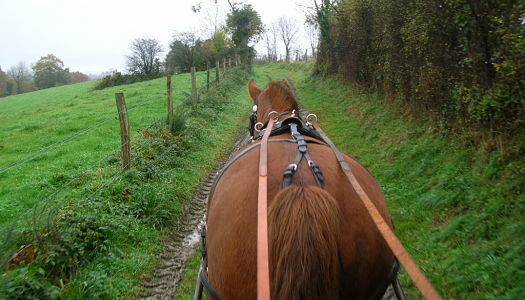 On a horse or with a cart, explore the department on the Hague, Sartilly and the Vire Valley loops. 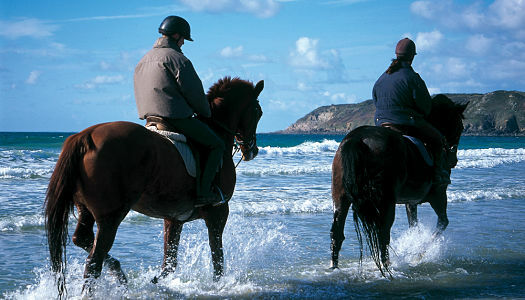 In the bay of Mont-Saint-Michel, a riding loop is now dedicated to horse-drawn carts, as part of the project conducted by the riding complex in Dragey-Ronthon (training centre for race horses). Specifically way-marked (with signs picturing a cart), the itinerary of about 30 kilometres along typical country lanes and through picturesque villages, leads to the shores of the bay of the Bec d’Andaine and offers stunning views over Mont-Saint-Michel. 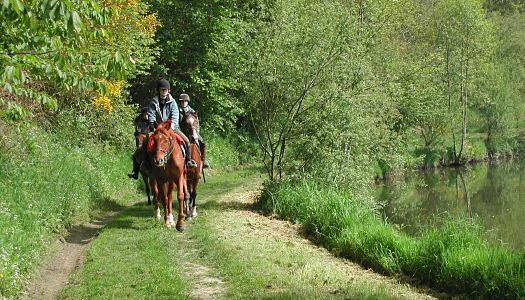 Enjoy a leisurely ride in bocage countryside, with a trek in the Vire Valley. The loop comprises three itineraries, covering together about 40 km. This trek offers magnificent views over the Vire Valley. Part of the itinerary is common with the “Route of the Abbeys”, which leads to Mont-Saint-Michel. This 41 km long loop includes portions on steep tracks. In this part of the headland, the scenery made of rocks and heather has an air of the edge of the world. Along the way, you will enjoy exceptional natural sites and breathtaking views.